Customize the message and button text displayed if desired. 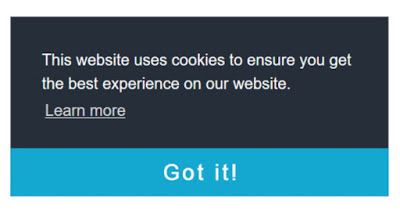 View your blog to check out the cookie notification. Blogger is a blogging platform from Google and as such the platform is managed by Google. As a blogger, we are only using the system to post content. The management of the Blogger system is not in our control. Thankfully, Google has we have added a notice on Blogger to help meet these regulations. 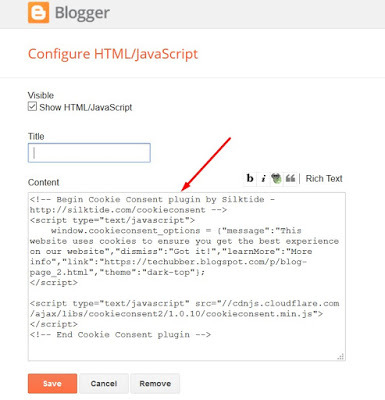 The notice lets visitors know about Google's use of certain Blogger and Google cookies on the Blogger blog, including Google Analytics and AdSense cookies. 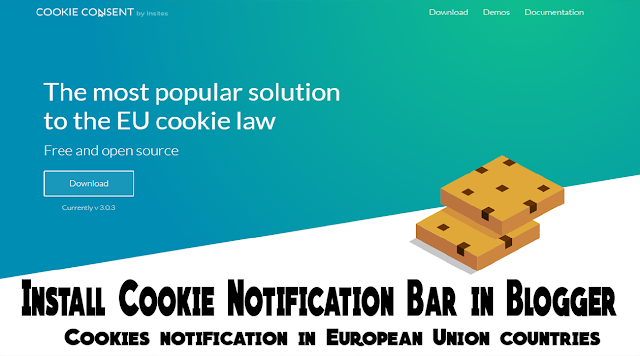 To check the default cookie consent notification implemented by Blogger, refer to our previous blog post here - How To check Cookies notification in Blogger for European Union countries outside EU? In case, if you are not satisfied with the default notification and you want to apply your own cookie notification, you can do so following the below steps. To save you time and to use an existing tool/services for this purpose from silk tie, we shall use an online cookie consent code generator to generate a code which can then be added to Blogger to generate the cookie notification prompt.